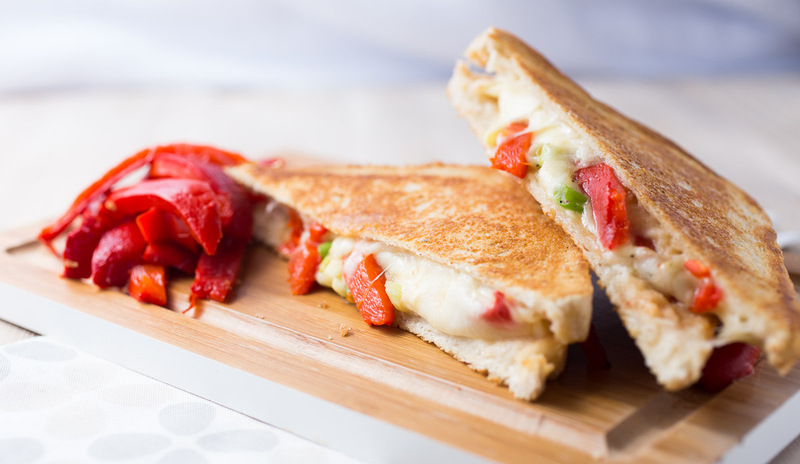 The first thing you think of, when you here mozarella grilled cheese sandwich, you think of caprese. Tomatoes and basil go perfectly with the mozarella and it’s a classic combination, but I wanted to do something else and went for roasted bellpeppers and spring onions instead and the outcome is just delicious. 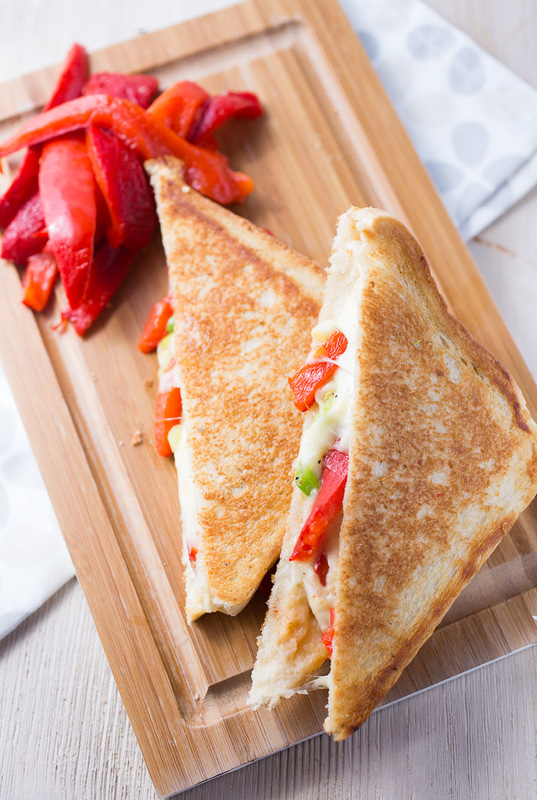 The bellpeppers are so aromatic and go so well with the creamy cheese. 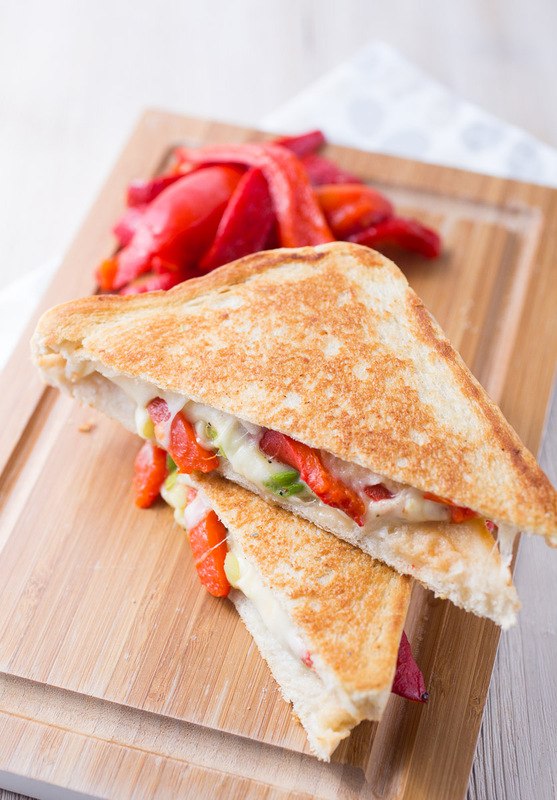 Aromatic bellpeppers and creamy mozarella on toast. Cut the bellpepper in half, remove the stem and the seeds and place them with the cuts down in an ovenproof dish. Rub the bellpeppers with a bit of olive oil and place in the middle of the oven. Leave in there until they turn soft and the skin starts to turn black on top. Take them out, leave them under a damp towel for 5 min and then remove the skin. Slice the bellpepper and salt them lightly. 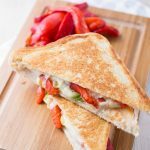 Layer a slice of bread with mozarella, the sliced bellpeppers, sprinkle with onions and finish with a piece of mozarella or two before you put on the top slice of bread. Butter the outside of the sandwich lightly and place in a pan oder medium-low heat. 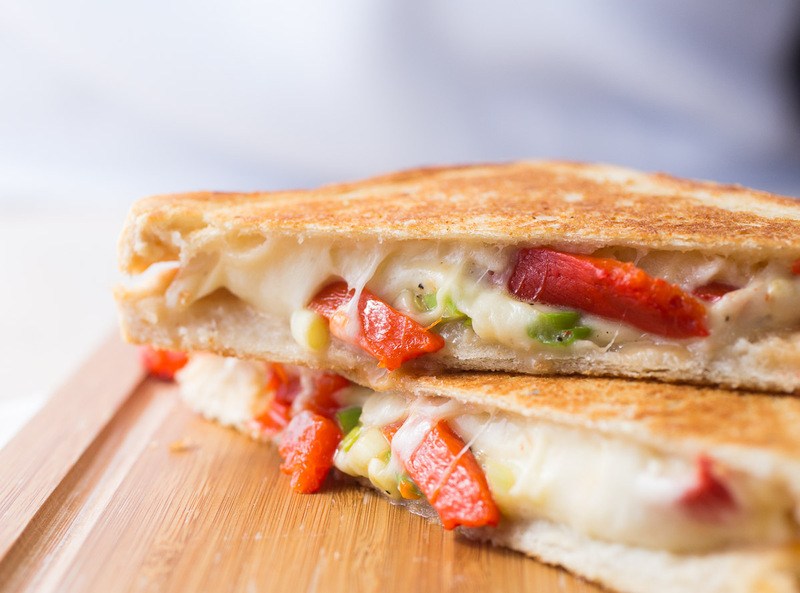 Turn frequently until the bread is brown and crispy and the cheese is melted.